Hundreds of ninjas assembled, strong ninjutsu, shock coming. Perfect reproduction of animation, a new chapter debut. Game player can collect Naruto, Sasuke and other senior ninja, experience the hearty Ninja fighting and all the ninja collection, set up an exclusive team to fight! 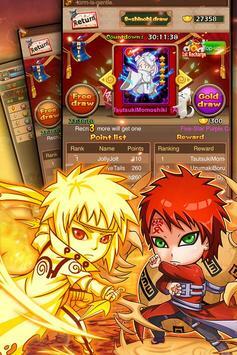 Landing game to get the free Ninja, complete the new service tasks, enhance combat power, receive big gift packs! Animation original character reproduction, restore the ninja world. Uzumaki Naruto, Uchiha Sasuke, Haruno Sakura, many familiar "Naruto" animation character debut. 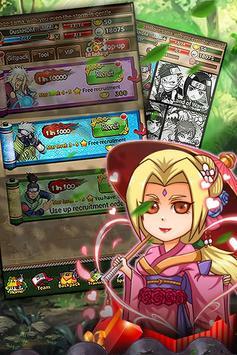 The game uses "Naruto" animation original characters, reproduction of the classic scene. Ninja recruitment free combination. Create a super lineup. Control the legendary ninja, reject a single character, switch arbitrarily, and build your strongest lineup. Dazzling ninjutsu, exploring the mysteries of the ninja world. 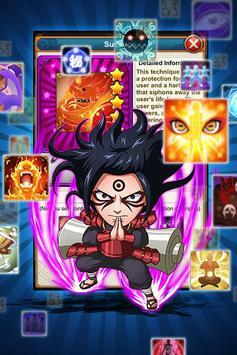 Naruto's Rasengan,Sasuke's Sharingan,Uchiha's Susanoo,Bloodline,Rinnegan and so on.There are more exciting trick in the game, waiting for you to experience. Please review Ninja Union Game and submit your comments below. We will collect all comments in an effort to determine whether the Ninja Union app is reliable, perform as expected and deliver the promised features and functionalities.